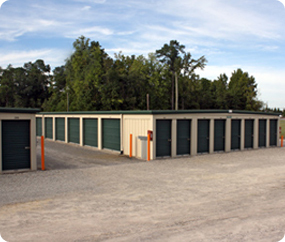 Turn to us when you need unit space fast and don’t want to travel far to get it. Map out your unit so when you are looking for a specific item, you can access it efficiently. If there are certain items you plan on retrieving before others, place them closer to the entrance of the unit. Plan and maintain a walkway through the center of the unit so items at the back are easily reached. Place the largest items in the unit first. Maximize your space by storing items inside larger items (such as bins, drawers, etc.). For ventilation, leave some space along the sides of the unit and when storing appliances, keep doors slightly ajar. For safety reasons, do not stack boxes too high. Place the heaviest boxes on the floor before placing others on top of them. Learn more about making online payments. Do you ever feel like this? Don't get rid of your stuff, everyone needs more storage space. Let us store it for you, we can store things from lawn equipment and household items to business files and collectables. Come visit Turner Farms Self Storage and let us help!